Charlie David arrived on 12/12/16 and he is the sweetest little critter! I had the honor of photographing his parents wedding in 2014 and it is always a pleasure to document my couple's next chapters. I hope to see this little guy in 6 months for another session...it's the perfect age for photo sessions since they are too little to crawl away but big enough to show off their personalities. To book your family or newborn session click on the contact form here. Vidda and Kyle are two of my favorite people ever! I shot their engagement session and wedding in 2013 and now they are getting ready to welcome their first child!!! I am so excited that I have been a part of so many milestones in their lives, I am really looking forward to meeting their little sweet baby! Thanks to Vidda and Kyle for making my first maternity photography session a huge success...I am now officially booking maternity sessions, book yours today!! The Mashia's met me at the Skaneateles Country Club on a bright summer's evening for a mini-lifestyle family portrait session. My sessions are very low pressure and unstructured, there is lots of playing, dancing, & even time for snacking (if the session feels like work for your kids the images will show it)! 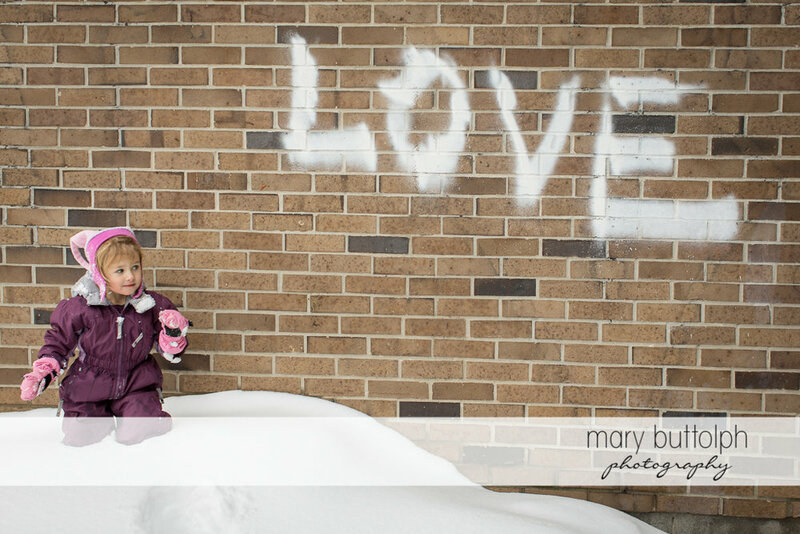 I love photography because it forces me to be present and to really observe situations, their 9-year-old showed me how quickly kids grow up...at times she was startlingly mature and then a few moments later she was enjoying a juice box while sneaking a cuddle from her mom! I feel grateful that I had this evening with the girls to capture them while they were still little girls (for the most part). My favorite part of the session came at dusk...the girl's reward for being awesome was getting to jump in the lake in their clothes!!! Time flies especially when your first baby arrives. Brooke's sweet baby boy is already 6 months old and we'll be doing his one year portraits before we know it (here is his newborn session). I love this age, the babies just stay put and do a lot of smiling...that's a photographer's dream! I am available to document your bundle of joy's first year. We don't get to see our extended family enough but we were lucky this year when almost all of the Colorado Buttolphs' vacationed on Skaneateles lake (we missed you Ed, Andrew, and the twins)! Here are a few of my favorites from a perfect summer evening, keep me in mind to photograph your next family gathering...I love capturing all the little moments that make up life. Erin and Michael were married last summer at the Emerson Park Pavilion and this year they welcomed their beautiful son, Teddy. I adore working with my wedding clients when their family expands, it's so flattering to be asked back and working with newborns is a refreshing break from the frenzied pace of a wedding day shoot. Thank you to Erin and Michael for inviting me to document so many beautiful moments in your lives. Brooke officially became a mommy a few weeks ago but she has been a second mother to my children for years. She has been a tremendous blessing to our family, it is because of Brooke that I have been able to build my photography business while keeping my children close. I loved being able to take a break from editing to grab snuggles with my babies! I never had to worry about my kids when Brooke was with them, I knew they were in such loving and capable hands. Little Finley is so lucky to have such wonderful parents. All my love to your beautiful new family!! I spent a glorious fall morning with the Sinclair family running around their massive yard with their darling boys. I have to admit that I have shied away from family sessions in the past due to the the unpredictable nature of young kids, I never wanted to disappoint clients by not delivering the perfectly posed family portrait. What I have come to understand is that there is no such thing as the perfect family nor the perfect family portrait. I prefer to document real families as they are...messy, happy, pouty, loud, quiet, and playful! I would much rather see a kid's quarks and personality reflected an image than a forced grin, what do you prefer? I spend a great deal of my time photographing life's grand moments but it's important to pause and capture the quiet little moments that make up our everyday lives. I adore working with families that aren't looking for the traditional family portrait, they opt for real laughter and life (which can sometimes be messy and grumpy). For the Lynn's session we spent a late summer day on Skaneateles lake where the family has gathered and made memories for generations. The last time I photographed the Lynn family was when William was a newborn, we had a great session in their home even in the middle of a CNY winter. There is nothing better than a genuine smile in a location that is dear to your heart, contact me today for your real-life family session! I am always hugely flattered when my wedding couples call me to photograph their first little bundles of joy and I just ADORE newborn sessions. Amy and Joe, one of my favorite couples of all time, just had a darling little girl named Allison. Two years ago they had a fabulous Mandana Barn wedding complete with a square dance (have a look at their wedding day)! Joe's musical skills came in handy during the session when little Allison needed some soothing (I think he needs to create a bluegrass lullaby album). Amy, Joe and Allison, thanks for the honor of letting me document your new family! Happy Valentine's day from one of my sweeties to you! Chris and Monica are Skaneateles natives that currently live in Portland, OR. They both love Skaneateles and wanted to do a family session with their darling daughter, Cate Mahoney while in town for the July 4th holiday. We chose to shoot at Chris' childhood home, an iconic Skaneateles place. It was a delightful getting to know this lovely family and I encourage them to move back! Charlotte and I were lucky enough to return to Sanibel to hang out with my family for most of April. It was a wonderful shot of summer; I drank in the sun, the bath-temp waters, the soul-soothing warm breezes, and a few dozen margaritas! There is so much life on the island--everywhere you look there are exotic plants and animals that are just begging for an impromptu portrait session. Here are a few of my favorite moments and memories from another wonderful trip. We have had a lovely Easter filled with friends, egg decorating, slightly intimidating easter bunnies, egg hunts and enough candy to give us all diabetes. Hope you all had less candy (or more will power) than we did! Charlotte, Lee and I just got back from a very sunny and warm vacation to the lovely Sanibel Island on the gulf coast of Florida. The trip has become something of an annual tradition to visit Lee's parents, they know how to pick a good spot (they've been escaping to Sanibel for decades). This visit was full of eating, swimming, tennis, biking, birding, shelling and napping. Lee and I took advantage of the built-in babysitters and ate out a lot! We had three excellent meals at three very different restaurants on the island. The first night we chose to eat at Traders. We were both a little apprehensive since it had a gift shop attached but we were blown away by the great food and excellent service--the key lime pie is not to be missed! If you are looking for a tasty breakfast head to the Lighthouse Cafe, they boast "The World's Best Breakfast" and it's a great breakfast, just skip the grits and opt for the potatoes instead (they seem to have forgotten how to make grits in this neck of the woods). We saved the best for last, Il Cielo. It is truly an outstanding fine dining experience just be prepared for a bit of sticker shock when the check arrives! Other highlights that are not to be missed are the birds at J. N. "Ding" Darling National Wildlife Refuge, the awesome shelling (literally every beach offers amazing finds), the tropical bird show at the aviaries at Periwinkle Trailer Park, a beach sunrise, and set out to watch the wildlife and fisherman at the Point Ybel Lighthouse fishing pier. Tara & Marty have been busy lately! They've been keeping up with their darling 2-year-old daughter, renovating a new house, and a move all in preparation to welcome baby William to their expanding family. I had the pleasure of shooting in their new home where there was lots of great light and big sis, Dawson, felt comfortable. I often get asked if I have a studio and I have to explain that I do all of my sessions on location because I like to incorporate meaningful elements from my subjects and that is only accomplished by having my subjects choose the settings. In this case, we spent almost the entire time in the sun-washed and simple master bedroom. I am just delighted at how this lifestyle shoot turned out--we saw the total range of emotions from both kiddos and I loved capturing all the tears, curiosity, frustrations, sweetness, and love! Merry Christmas from the Buttolph Family! I have never sent a Christmas card in my life but I wanted to share a little something after receiving so many wonderful cards this season...Merry Christmas!